The TQ513 series has been discontinued and is no longer available in Europe. The torque meter of the series TQ513 are designed to measure the rotating torque using shaft-to-shaft in-line placement. Heavy-duty silver slip rings provide secure transmission of power and signal from the rotating shaft to your instrumentation. 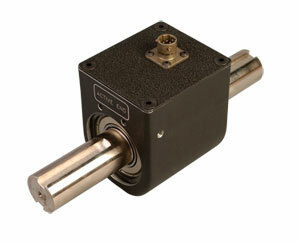 An optional 1024 ppr optical encoder is available to measure angle or speed.